It's "Christmas in April" for vinyl lovers at independent record stores across the country. SEATTLE — Light in the Attic record store in the KEXP gathering space is one of the independent records stores all across the country participating in tomorrow's 12th annual Record Store Day. If you're a music lover, and a vinyl collector, this day is a big deal full of super limited-edition releases. What began as a humble way of getting people to shop mom-and-pop record stores is now an international celebration. This Saturday, April 13th, music fans everywhere will wake up early and flock to their favorite local record store to fill their shopping bags with wax, ranging from 7"s containing new music to rare reissues of albums that have been out-of-print for decades. This year's list of releases has over 500 records to choose from, but there's no guarantee that your local store will have everything in stock. So you'll want to do your research and head out early to snag the most exclusive wax. 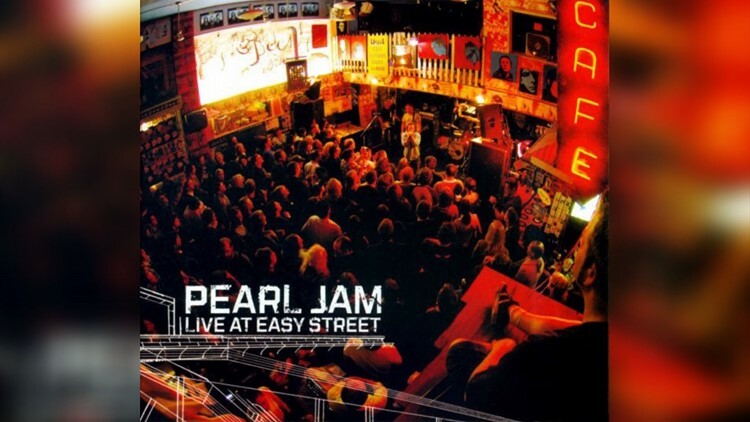 Pearl Jam, is releasing their 2005 live performance at Easy Street Records on vinyl for Record Store Day. This year's Record Store Day ambassadors are none other than Seattle's own Pearl Jam, and they'll be releasing their 2005 live performance at Easy Street Records on vinyl for Record Store Day. It was an amazingly intimate show in West Seattle and should sound awesome on vinyl. A few other highlights among the long list of rare records include Iggy Pop, IDLES, Courtney Barnett, David Bowie, Aretha Franklin, and soundtracks for Twin Peaks and Bohemian Rhapsody. Record stores have played a big role in my life, and the whole point of Record Store Day is to get out and support your local, independent shops. Thankfully, Seattle has a ton of great ones to choose from. For the complete list of this year's releases and to find all the independent record stores near you, head to recordstoreday.com. So line up early and celebrate Record Store Day tomorrow!